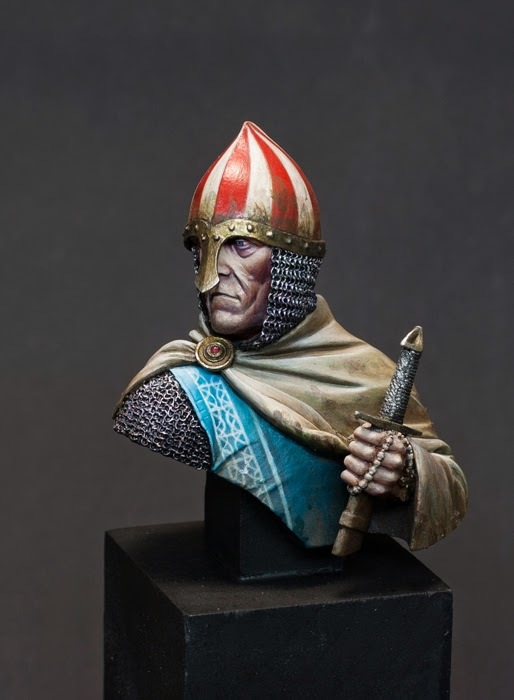 finally I found the time to took some pictures of my lastest finished bust: the Anglo-Norman Crusader from Heros & Villains Miniatures. 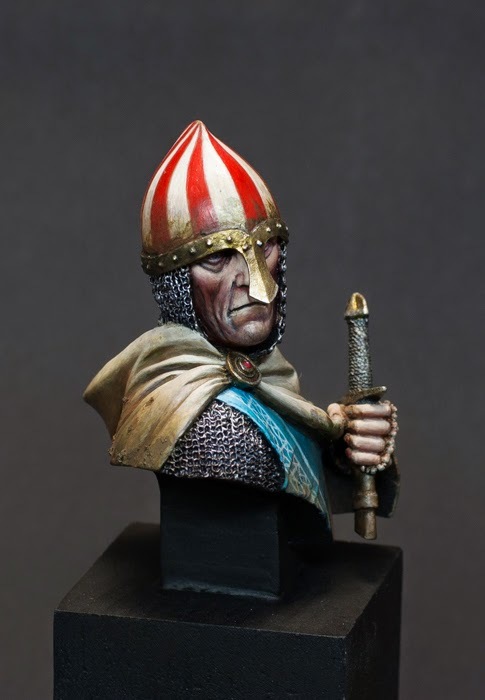 I started the bust at a painting class with Fernando Ruiz in July. 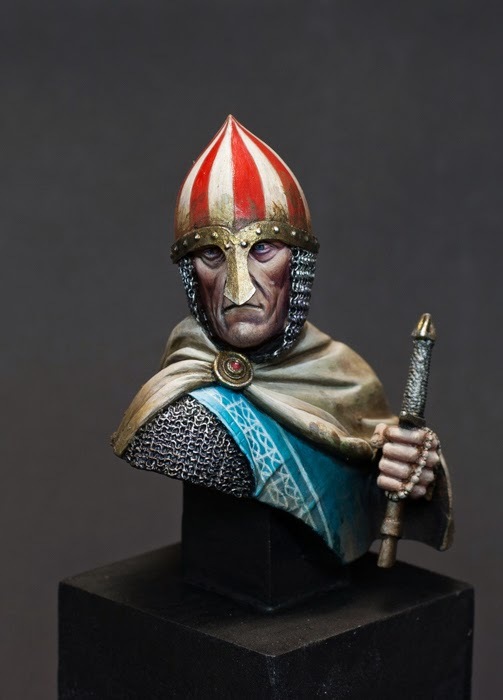 A very interesting bust, cast in high quality. 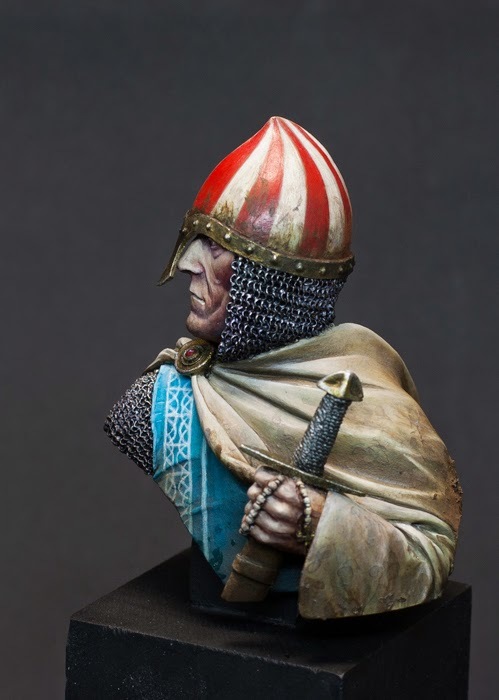 At the beginning I was not sure what to think of this quite small bust (compared to Raffa´s huge and awesome Ram Tribe Warrior). But after the first brush strokes I fell in love with him. Sadly it took me some time to finish him. This was because I tried some new techniques I learnt from Fernando and because of the choice of colors. Especially while painting the bright coat I realized I had chosen the wrong color combination. So motivation went down and I had to force myself to continue working on him. I hope you like him. Feel free to vote on Putty and Paint: CLICK! Great bust, Peter! Particularly the face is outstanding. Only thing I am not so sure about is the weathering on the helmet. Looks a little unnatural to me. Maybe some pigments help to sort this out - or just next time.